It is pretty-well assumed that all athletes push every joint, muscle, tendon and organ to their limit: therefore, quality sleep for the body is crucial. Time spent sleeping is healing time for all your body parts, not just your mind. Many athletes pay astronomical amounts of money for athletic equipment or gear, but somehow, they tend to forget the body armor under that equipment. The human body is your body armor. A sound, comfortable night’s rest can affect an athlete´s overall performance, especially on nights before performance events. Especially when it comes to running athletes, “Rest better, run better!”. 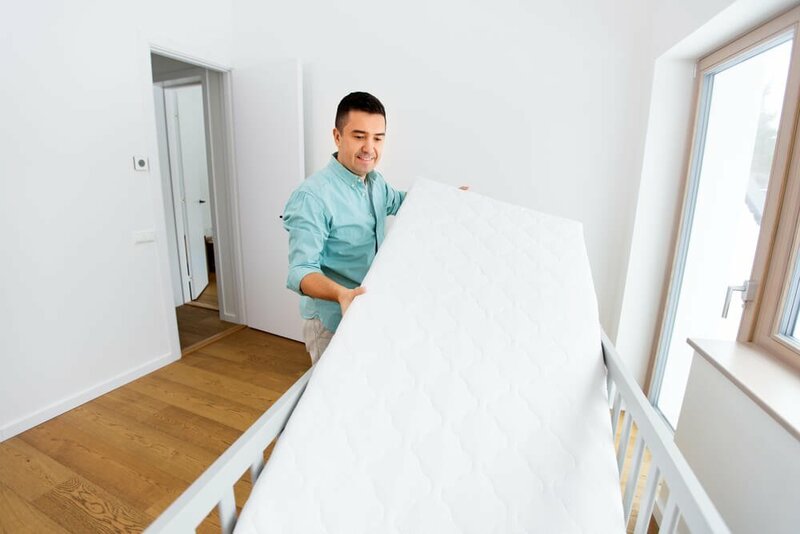 Below are reviews of five different types of mattresses, with a focus on its effects on relieving soreness, massaging sore muscles and alleviating hip and low back pain. Having the correct mattress will improve the quality of your sleep and as an athlete the best mattress is the one that provides great comfort and support to aid in your recovery from training. Medium-firm density is best for back or stomach sleepers. 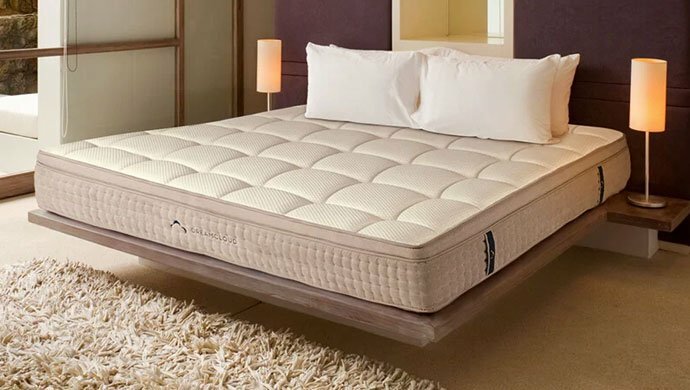 PlushBeds offers a 12″ mattress called Luxury Bliss made of 3-inch 100% organic Arpico natural latex and 8-inch individually wrapped pocketed coils – this type of mattress is what is best for athletes looking for targeted pain and pressure relief and a speedier physical recovery. 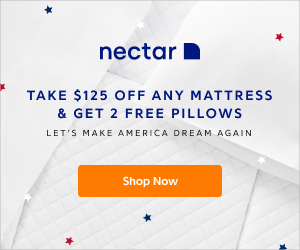 This mattress has a plush comforting latex top layer, 1-inch organic cotton cover and its motion-isolating coils are what absorbs movement and noise around your body. The coils are encased in fabric and the latex material they use is 100% organic; a plus factor for people with allergies. This results in your spine resting in its best, natural position, regardless of your sleeping position. Basically, think of this product as a body pain-reliever while you sleep. It can´t get any better than this without a prescription. Most beds are too soft, causing back pain and that sinking-in feeling, making it harder to get off the bed. Some beds are too hard, leaving your body feeling as though slept on a wooden floor. This bed has the right combination of quality, safe organic materials and rates high on the consumer-rated comfort level scale. The mattress offers enhanced edge support increasing sleeping area. This may sound as a con, rather than a pro; the mattress is not chemical flame retardant. However, that is not needed because the Joma Wool (from New Zealand) that’s used for the quilted cover is naturally resistant to burning. That is because Joma Wool has high a Keratin protein and moisture content, which in turn makes it the safest bed to fall asleep in. It also has passed flammability test without chemical flame retardants. What is amazing is that you can try this product for 100 nights free with a money back guarantee, and comes with a 25-year warranty if you keep it. This bed does your body armor good, it’s and is excellent value for money with a price-point significantly lower than the cost of other orthopedic mattresses. 100-night sleep trial, 20-year limited warranty. The Bear Hybrid mattress company actually advertises their Bear Athlete Team to prove how many athletes sleep on their beds; for a good reason. There is a Bear Mattress and a Bear Hybrid, these have three options to choose from that seem to do an athlete’s body well. You can have it made with a combination of coils and memory foam with a soft quilting (10” thick), four layers of graphite-gel memory foam (12.5” thick), or both combined. Both bed types contain a fiber called Celliant. This material is said to “reduce minor aches and pains” through the “oxygenation in body tissue.” This is yet another non-prescription product for an athlete´s health while they sleep. Celliant is actually a bi-fiber (synthetic polymer made from polyethylene terephthalate) and it not only targets athletes bedding, but clothing, medical and veterinary items too, because of it´s oxygenation´s effect on performance. This fiber also interacts with infrared light and electromagnetic emissions and your body which results in the oxygenation of body tissues. It also sleeps cooler than most competing all-foam mattresses. The foam used in the Bear Hybrid has also been approved by the FDA as safe, because a water-based bonding solution is used, and leaves no odd smell or aroma. Based on the different type of athletes that are on the Bear Team, it does all categories of athlete bodies well. e.g. fencers, football players, boxers, runners, etc. Customers are also able to try this mattress out for 100 nights free, with a 100% money-back guarantee and a 20-year warranty. A DreamCloud mattress is just like its name sounds! The topping of the mattress is made of a pillow-soft, cozy cashmere material, the inner filling has gel memory foam and Pocket coils in 5 major zones. Pocket & Offset coils are rated in the top two v. Continuous & Bonnell/Open. The coil type is support determinant in a mattress, not just the gel or foam. This mattress is said to be not too soft and not too hard, just right because it has 8 layers of material that are 15” thick making it suitable for sleepers of different weights. Mattresses are rated between one (too soft) and ten (too firm); this one is rated as 6.5, smack dab in the middle of (just right) rating of 5.5-7.5. More layers are used between coils and the surface of the bed v. so called hybrids, which only have one layer of other material between the coils and the surface of the bed. You are able to get more layering in the hybrids, however, that will spike the price naturally. 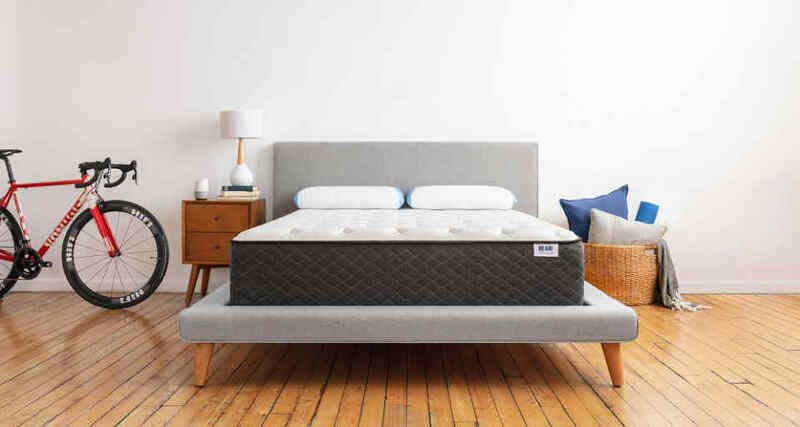 The Dream Cloud mattress promises sleep comfort for front, back and side sleepers maximizing recuperation and healing of muscles that are fatigued. They offer a 365- night free trial and an “Everlong Warranty” (lifetime), this is highly unusual and prove the company is sure about the overly quality of their product. Forever warranty and a 365 night home trial period with free shipping and returns. 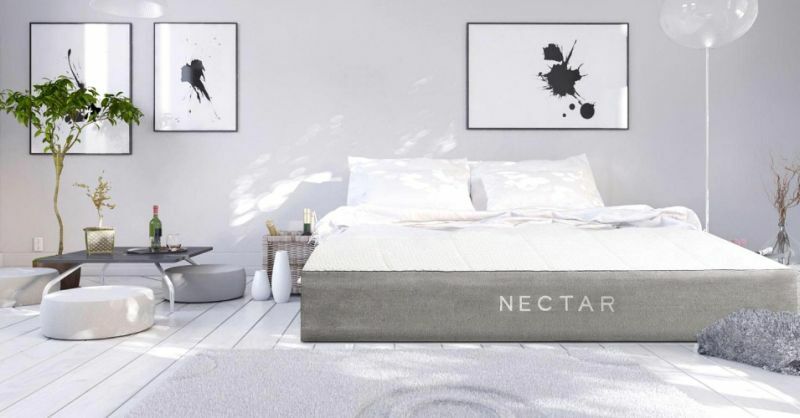 The Nectar mattress does not have any coils, it is purely made with layers of gel and memory foam. Memory foam (formerly Visco-Elastic foam) in general became popular in the 1960´s, after NASA created used counteract extreme pressure for the astronauts. Importantly, their foam does not contain harmful material such as ozone depleters, PBDEs (polybrominated diphenlyl ethers (possibly contain 209 flame retardant substances), mercury, lead or TDCCP (Tris(1,3-dichloro-2-propyl) phosphate) a polyurethane fire retardant now banned but not restricted from use. This is really good to know how this bed is made – only from safe foam products. Can it provide the overall support that athletes should have? It does allow for more bounce than beds with coils. The Tencel material (custom made fabric wick) on the surface allows for air flow and heat deflector, good for people who sweat. The layering of gel memory foam is said to position the spine automatically to your normal position, however you lay. 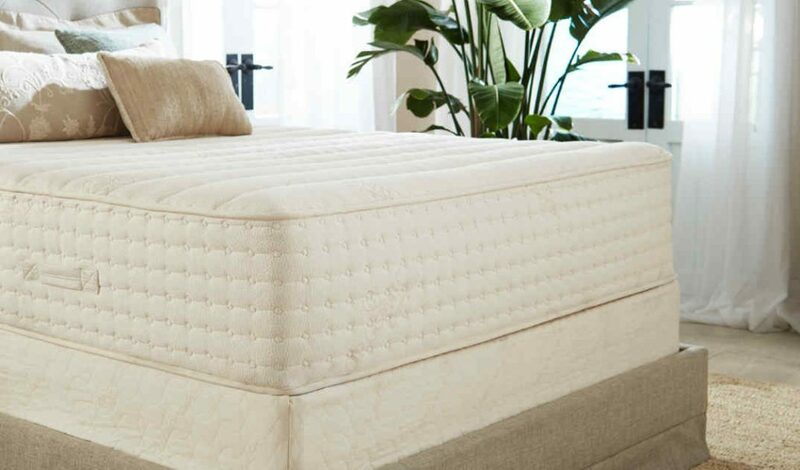 Not only can you try out this mattress for 365-free nights, there is a no Bug & Dust Mite promise (if it fails, your mattress will be replaced, re-covered or reconditioned for free); as a part of their Lifetime Warranty. The overall reviews and materials used makes this mattress good for all body types as weight support is distributed evenly because of the type of memory foam gel used and Tencil material that provides a comfortable, sweat-free sleep. Whether you are a super athlete or not it appears as though this bed could be a perfect fit. The Layla mattress is unique amongst others because it has a soft and a firm side. This means you are able simply flip your mattress if your preferences change or you have guest. The foam used in making this product has copper infused in it between 1”-3” combined with other support foam layering. The use of copper is key not only for its cooling properties, reducing sweat, but it provides anti-microbial and anti-inflammatory agents, eliminates odor, no-allergic properties, encourages brain stimulation when sleeping. The anti-microbial resistance is important too, considering the average seven-year-old mattress has an estimated 16 million strong colony of bacteria-forming units. Welcome to the amazing world of bed technology! Overtime, we all age and our body parts change; such as the three different support areas of our spine (Cervical, Thoracic and Lumbar). Proper alignment when we sleep is as important as when we are awake. The problem is that changing our sleep positions won´t always cure our backaches; mattress types also influence or affect us no matter what position we sleep in. The Layla mattress´s firm side affects pressure points, without confirming as much to a person´s body. The soft side, conforms more to your body with better pressure point relief. The key is to use extra pillows between knees when you are a side sleeper and sleep on a softer mattress for the pressure that your shoulders suffer under your weight. If you sleep on your front, a firmer mattress is best for overall balanced support of your weight. 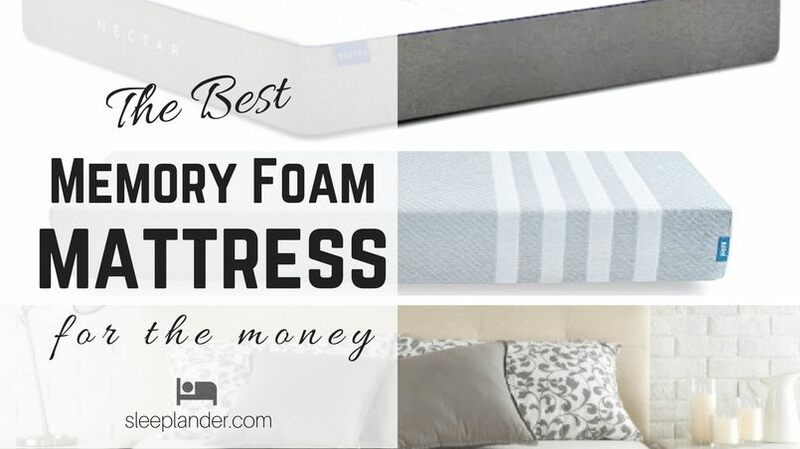 This mattress received the best memory foam mattress rating for 2018. Though they only offer a 120-free nights trial, they have a Lifetime warranty. So, What Is the Best Mattress for Athlete Runners? As an athlete, the composition of a mattress and materials used will affect how well you sleep and how quickly you’ll recover. Wear and tear on a product are normal, but why add extra wear and tear to your body? Remember, it´s not just the top cloth (aesthetic), coil gauge type (for your muscular structure), raw materials (for inner health of your organs), but for your overall health! Price is a factor for many, but invest some time in yourself and find something that will meet all your needs! Also read: 9 best mattresses under $500.